Most reviews are about which service is best, but that’s hard when it comes to Bluehost vs. GoDaddy. Neither of these hosts are the “best” by any stretch of the imagination. Bluehost is owned by EIG, the plague of the hosting world, while GoDaddy practically functions like an EIG host. While being unbiased is difficult with these hosts, especially since so many people have strong (ie: negative) feelings about both of them, I will do my best to highlight their strengths and weaknesses. There are a few things they both do right and that should be honored. While there are better hosts, both GoDaddy and Bluehost serve a particular clientele and are often good beginner hosts because they’re cheap. I’ll go through what I love and hate about both and will leave the decision to you. Bluehost is cheap, just like all other EIG hosts. If price is guiding your buying decisions and the main thing you’re worried about is how much you’re spending, then Bluehost is an attractive host. Their entry-level Basic plan starts at $3.95 a month. While this is similar to SiteGround’s entry-level price, you’ll notice a big difference after the trial period. 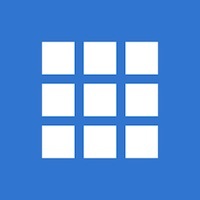 Bluehost’s Basic plan goes up to $7.99 a month while SiteGround’s goes up to $11.95 a month. There are always coupons and discount deals available to reduce the price even more. This isn’t uncommon with hosts, but Bluehost is always guaranteed to have some discount going, ensuring you spend very little money. Some of the resources here are good for the price. I’ll clarify this point a little more in the Hate section, because there are some practices here I don’t like, but you are getting a fairly good amount of resources for the trial price. For example, their second Plus package, which starts at $5.95 a month, allows you to host unlimited domains. Of course, unlimited is just a marketing term, but it’s nice to know that you can host as many domains as you would like as long as you have the bandwidth. In general, the resources are OK for the trial price. Nothing special, but that’s why price is the main motivation here. Bluehost has 24/7 phone support for both sales and technical questions. They even after different lines for specific requests. For example, there is a line for general questions, one for VPS hosting and so on. You also get live chat and email support. In general, Bluehost is relatively fast when it comes to picking up and responding to support requests. It’s not the blazing fast speed of SiteGround, but it’s not bad in general. There’s also a detailed knowledge base full of information. Read through and you might be able to solve your problem without contacting the support service. Bluehost has changed “unlimited” bandwidth to unmetered, which is still just a hyped-up marketing term, but at least it’s a little more truthful. This means that you won’t get a specific limit on bandwidth. That doesn’t mean you aren’t limited, because you are. The limits are relatively low in general, but it’s hard to say exactly how much bandwidth you really get. Bluehost won’t limit your website until you use too much bandwidth. At that point, Bluehost will message you and said that you’ve used too much bandwidth. Your real limit depends on how many people are on the server at once and how much bandwidth they are collectively using. Unfortunately, EIG is known for crowding their servers, so your bandwidth limit is often very low. Once you go beyond your limit (and you just have to trust that Bluehost is telling you the truth), you’ll have to upgrade to a more expensive plan or suffer from outages. So, I said that I loved how the customer support is available 24/7, and that’s great. However, that doesn’t mean the support itself is amazing. The overall opinion of Bluehost is that the people there don’t care about you when you speak with them. You will have to suffer through long hold times, and then once you finally get someone, you’ll be put on hold several times whenever you have a technical question. The team is geared more towards sales inquiries (ie: getting you to spend more money). Aside from that, you’d have an easier time trying to solve any technical problems yourself. It’s a nightmare, especially if you have a major disaster on your hands. Bluehost has a script installer, like every other host nowadays, but it’s slow and has relatively few scripts. Unlike other hosts, like SiteGround that proudly displays it’s 300+ scripts, Bluehost just tells you they have a script installer. It has WordPress of course (who doesn’t? ), but that’s all they say about it. If you want a common script, then you’ll probably find it. Anything exotic though likely won’t be there, or the installation might be slow or difficult. This contradicts the point about Bluehost being cheap. They still are relatively inexpensive, but don’t hold them to that $3.95 monthly price. You will be charged for security, backups and almost anything else you can think of. Not only that, but you’ll also have a ton of services thrown at you in an effort to make you spend more money. Believe me: you’ll be spending way more than you really want to. To be completely honest, most experienced webmasters don’t use GoDaddy for their hosting. In my mind, and the mind of other experienced users, GoDaddy is a domain registrar first and a host second. 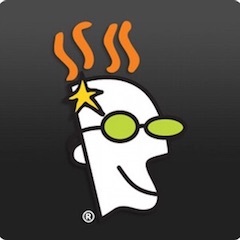 In this respect, GoDaddy does a great job. Most domain registrars will charge you around $15+ for a domain depending on the extension. You’ll find that not only is GoDaddy a little cheaper on average, but they always have great deals and discounts. Unlike hosting, which might suffer from quality issues, there’s no way to mess up a domain. Going cheap is the best way to go. One of their craziest sales has been limited $1 .com domains, you can’t beat that. GoDaddy also makes it easy to find the right domain. They have a search tool that will locate similar domains if the one you wanted isn’t available, and you can easily register domains in bulk. Much like Bluehost, GoDaddy is cheap. In fact, they cost even less for Bluehost for roughly the same resources. Their entry-level plan is $2.79 a month and then renews at $7.99 a month after the trial. This gives you one website along with 100GB of disk space and “unmetered” bandwidth (our favorite kind of bandwidth!). Unlike Bluehost, which just leaves you to assume that you’re getting more power with each upgraded plan, GoDaddy is a little more transparent (but only a little). When you choose the Ultimate plan, it shows you exactly why this plan is faster than the others with upgraded hardware. That’s pretty rare for cheap hosts like this. GoDaddy also offers a fair number of plans to choose from, so you should be able to select the right one for your needs without feeling like you’re getting too much or too little. Surprisingly enough, GoDaddy has domestic phone support for multiple countries. You can go on their support page and find the phone number for your specific country. Since GoDaddy is so large, you’ll find many different locations there. Live chat is also 24 hours Monday through Friday and, just like phones, is US based. Standard is a bad word, unless you’re talking about cPanel. Nobody wants to use some buggy, homebrewed version of cPanel to run their website. Not only is vanilla cPanel one of the best admin panels around, but there’s tons of documentation and support if you need it. All the tools you need are easily accessible. Not only that, but the script installer here allows you to install over 125 scripts like WordPress and many others. It’s less than our star player SiteGround, but it’s not bad. Many reviews will say that GoDaddy has surprisingly good speeds and uptime (99.9-99.99%), but there’s a dark side to this. Remember with Bluehost how you’ll be forced to upgrade your plan if you get even the slightest bit of traffic? That’s exactly what happens here. GoDaddy is practically like an EIG host in the sense that they overcrowd servers and then penalize people for growing their website. It won’t be long before you get an email stating that you need to upgrade to VPS hosting. The upsells are just as bad. Remember that really cheap plan I mentioned before? Just the basic upsells will literally double the price, and then they try to bombard you with more. This goes along with upsells, but it’s so sneaky that it deserves its own section. GoDaddy is currently offering a “free” Office Business Email address if you buy shared hosting. In reality, it’s free for three months and then it renews. You know the deal: if you don’t manually turn it off, then you have to pay for it. With the bigger plans, you’ll also get “free” SSL certificates and a premium DNS. Just remember that they are only free for a limited time. GoDaddy is incredibly popular, hosting about 5% of all websites, but this comes at a cost. They suffer from the Windows OS syndrome. Windows doesn’t have security flaws per se (no more than any other OS), but it’s not as safe because hackers target it. Why? Because a successful attempt here will steal more info or disable more websites than with another host. Aside from the fear of having your information stolen, all these hacking attempts can result in outages and rampant speed reductions. Downtime’s never fun, especially when you have no control over it. This is starting to sound a lot of BlueHost again. Just because GoDaddy has 24-hour support with domestic call centers and live chat agents doesn’t mean it’s good. Many people find themselves waiting close to 10 minutes to get a live agent on the phone or to reply to their chat message. Email tickets take even longer. I hope you don’t need immediate support, because you aren’t going to get it. The support lines are supposedly both for sales and technical issues, but guess which one the representatives are really trained at? They’re usually fine with sales calls. They are there to bring in more money. However, once a technical question comes around, they have to put you on hold and ask someone else. If I can make a suggestion, have a movie or video game ready. You’ll need something to cope with the boredom. I’m trying to be as unbiased as possible, but this is like compared two bad apples. Neither are good, neither are going to sit right in your stomach if you eat them, but maybe one is less bad than the other. Bluehost is geared a little more toward the hosting side than GoDaddy. They have some more features, but GoDaddy is more transparent about their hosting and is one of the biggest hosts on the Internet. Both are known for overcrowding and then forcing you to upgrade your plan. GoDaddy is really a domain registrar first and a host second, but this means that you can get great domains for cheap, and unlike hosting where cheap might be bad, a cheap domain is always good. Neither really outshines the other. They both have similar pros and cons. GoDaddy is only significantly better as a domain registrar, but that isn’t really enough to warrant calling it the winner of this battle. I suggest trying a better host like SiteGround. Or, if you’re really determined to choose one of these hosts, put their names in a hat and pick one. It’s nearly the same price and experience regardless of which you choose.